"Therefore there began to be a serious contention concerning who should have the judgment-seat among the brethren, who were the sons of Pahoran." At the “commencement of the fortieth year of the reign of the judges,” Mormon ominously reported that “there began to be a serious difficulty among the people of the Nephites” (Helaman 1:1). Key leaders such as Helaman (Alma 62:52), Moroni (Alma 63:3), and Shiblon (v. 10) had all recently died. 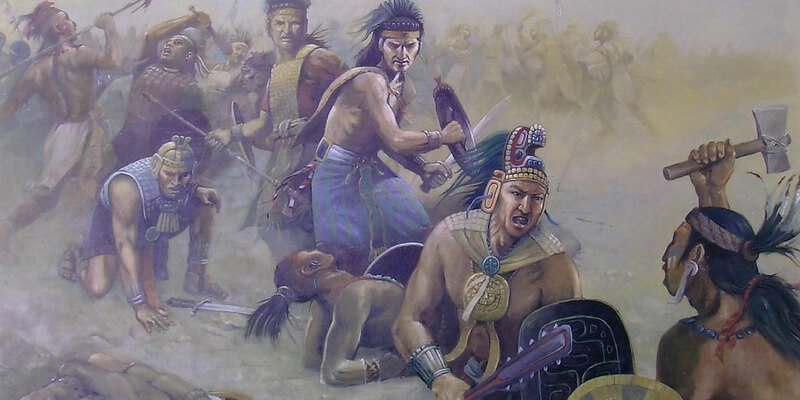 Because of that void, when Pahoran passed away during the fortieth year of the reign of the judges (Helaman 1:2), at least one cause for their alarm becomes apparent: within five years the Nephites had lost several of their finest and most admirable leaders—men who had been pivotal in holding their nation together during the long defensive military campaign against the Lamanites. As might be expected, the death of Chief Judge Pahoran caused no small disturbance among the people. The position of chief judge was much more like a king than many readers may realize,1 and when Pahoran died, his three sons—Pahoran, Paanchi, and Pacumeni2—all “did contend for the judgment-seat; therefore, they did cause three divisions among the people” (Helaman 1:4). On the other hand, Brant A. Gardner has explained that monarchical successions could actually be somewhat beneficial: “An advantage of monarchies in which the dead king has an adult son is the clarity of the process, with the son having a divinely sanctioned mandate to replace the father.”4 Unfortunately, the situation after Pahoran’s death was a full realization of Mosiah’s fears without the advantageous stability that monarchical successions sometimes provide. Recognizing that this leadership vacuum presented an opportunity for an insurgency, the secret band of Kishkumen (which soon became the band of Gadianton) began to assert their influence. After Pahoran, the son of Pahoran, was chosen by the voice of the people as chief judge (Helaman 1:7), Paanchi did not accept this decision. As he was “about to . . . rise up in rebellion,” he was apprehended, convicted of rebellion, and executed (Helaman 1:7-8). Paanchi’s followers then enlisted “one Kishkumen” who “murdered Pahoran as he sat upon the judgment seat” (Helaman 1:9). This episode at the beginning of the book of Helaman demonstrates and warns that such secret societies thrive on a society’s internal division and are prone to target key leaders and political figures, especially at times of transition in power or weakness in leadership. Despite the complexities and dangers of the modern world; despite the rise of secret combinations and modern-day Gadianton robbers; despite the vulnerability that nations and their leaders may face in the increasing chaos and turmoil—despite all of these things, those who place faith in Jesus Christ can trust that His established church and His appointed leaders are safeguarding the keys of the kingdom. As Elder Gary E. Stevenson declared, “Yes, the keys are safely in the possession of prophets, seers, and revelators.”11 This thought should give comfort and solace to all who have faith in Christ, for in these latter days Zion has been established “for a defense, and for a refuge from the storm, and from wrath when it shall be poured out without mixture upon the whole earth” (D&C 115:6). Richard Dilworth Rust, “‘I Know Your Doing’: The Book of Mormon Speaks to Our Times,” Ensign, December 1988, online at LDS.org. Hugh Nibley, Lehi in the Desert/The World of the Jaredites/There Were Jaredites, in The Collected Works of Hugh Nibley: Volume 5 (Salt Lake City and Provo, UT: Deseret Book and FARMS, 1988) 253–282. Daniel C. Peterson, “The Gadianton Robbers as Guerrilla Warriors,” in Warfare in the Book of Mormon, ed. Stephen D. Ricks and William J. Hamblin (Salt Lake City and Provo, UT: Deseret Book and FARMS, 1990), 147–173. 1. See Book of Mormon Central, “How Were Judges Elected in The Book of Mormon? (Mosiah 29:39),” KnoWhy 107 (May 25, 2016). 2. As noted by Hugh Nibley, all three of these names have plausible Egyptian Etymologies. See Hugh Nibley, Lehi in the Desert/The World of the Jaredites/There Were Jaredites, in The Collected Works of Hugh Nibley: Volume 5 (Salt Lake City and Provo, UT: Deseret Book and FARMS, 1988), 22–23. 3. Richard L. Bushman, “The Book of Mormon and the American Revolution,” in Book of Mormon Authorship: New Light on Ancient Origins, ed. Noel B. Reynolds (Provo, UT: Religious Studies Center, Brigham Young University, 1982; reprinted by FARMS, 1996), 201. 4. Brant A. Gardner, Second Witness: Analytical and Contextual Commentary on the Book of Mormon, 6 vols. (Salt Lake City, UT: Greg Kofford Books, 2007), 5:41. 5. Gardner, Second Witness, 5:41–42. 6. For a legal analysis of these events and proceedings, see “The Case of Paanchi,” in John W. Welch, The Legal Cases in the Book of Mormon (Provo, UT: BYU Press and Neal A. Maxwell Institute for Religious Scholarship, 2008) 311-322. 7. Gardner, Second Witness, 5:45. 8. Grant Hardy has noted that the way Mormon clarified the relationship between the Gadianton robbers and the entire destruction of his people is unusually explicit. See Grant Hardy, Understanding the Book of Mormon: A Reader’s Guide (New York, NY: Oxford University Press, 2010), 162–163. 9. See also Richard Dilworth Rust, “‘I Know Your Doing’: The Book of Mormon Speaks to Our Times,” Ensign, December 1988, online at LDS.org. 11. Gary E. Stevenson, “Where Are the Keys and Authority of the Priesthood?” Ensign, May 2016, 32, online at lds.org.